The highly anticipated AFLW Grand Final teams have been released below. The Adelaide Crows thumped Geelong by 66 points at the Adelaide Oval on a mild day in Adelaide. It was a superior effort from the Crows, as they made light work of the Cats all day with their tough and relentless pressure. With the 11 goals kicked by the Crows, 7 of them were kicked by individual goal scorers. The Cats struggled to get any flow and momentum to impact the game. It was a great performance down back for Cats defender Meg McDonald who kept the dangerous Stevie-Lee Thompson quiet all day. 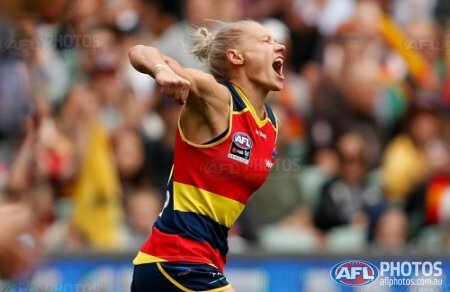 The Crows will host Carlton at the Adelaide Oval in the AFLW Grand Final next week. 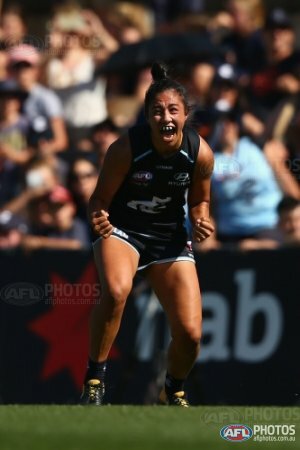 Carlton pulled off a solid upset win by 36 points over a Fremantle Dockers outfit that were outclassed all game long at the Ikon Park on a hot day in Melbourne. From the wooden spooners last year to making the AFLW Grand Final for the first time. The Dockers had an exceptional season, but the Blues played their best game of the season so far and the Dockers could not get any flow into their usual reliable formidable game plan. It was the first ever AFLW preliminary final at Ikon Park. The Blues did not disappoint their home crowd with their stifling pressure and cleaness with their ball skills around the entire ground. It was the walking wounded for the Dockers during the match. 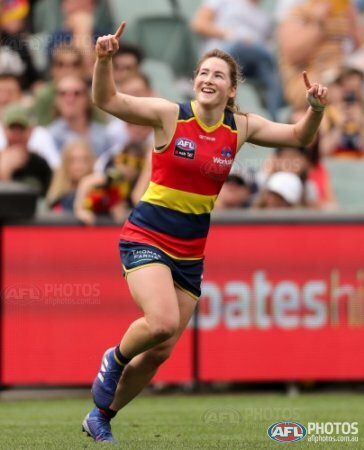 Irishwoman Ailish Considine will play in her first AFLW final for the Adelaide Crows this Sunday afternoon at the Adelaide Oval. Considine says that her preparation leading up to preliminary final has been pretty much the same. “It’s been pretty good this week so far, we had our first training session last night (Tuesday) and we will have our second one tomorrow (Thursday),” Considine said. The Round Seven NAB AFL Women's Rising Star Nominees are Collingwood's Jordyn Allen, 18 and the GWS Giants Haneen Zreika. 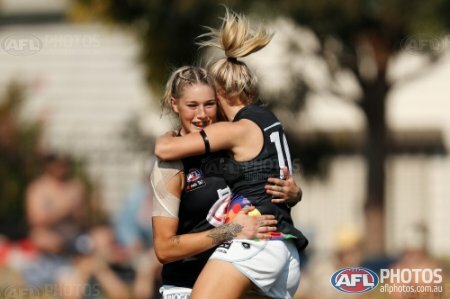 Allen has been vital in the Magpies backline all season and over the weekend on Sunday against the Lions she collected 10 disposals and six marks in her team's first breakthrough win of the season at Victoria Park. The Magpies selected Allen at pick number 5 in the 2018 NAB AFL Women's Draft. Allen made her debut in Round One this season and has played every game in her first season at the Magpies. Allen played for the Dandenong Stingrays and Casey Demons as a defender. 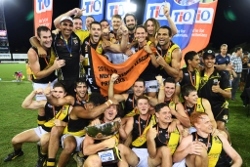 For the first time since 1965, the Nightcliff Tigers have help aloft the NTFL Premier League premiership cup after downing the Southern Districts Crocs at TIO Stadium on Saturday night. The result breaks the longest premiership drought in the Premier League and is the club’s fourth flag adding to their triumphs in 1956/57, 1960/61 and their previous most recent in 1964/65. Since their wooden spoon in the 2010/11 season, the Tigers have been in a build to a flag, initially backing youth to build a future and more recently recruiting star players from recent years, Cameron Ilett (St Mary’s) and Phillip Wills (Darwin), winners of the past two Nichols Medals, to give the youth an experienced and highly talented leadership team. The blending paid dividends on Saturday night when emotional scenes broke out all over TIO Stadium, and across Darwin, as the Tigers reigned supreme. Carlton came away with the win just by three points over a fearless Western Bulldogs at the Whitten Oval on a fine sunny day in Melbourne. The match was slow moving with both teams just going through their paces until the fourth quarter when the Dogs came hard at the Blues with five goals. 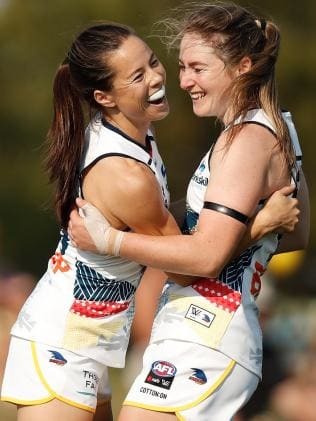 It was the annual AFLW Pride Game between the two teams and they both wore commemorative pride guernsey’s. Next week the Blues will host the Fremantle Dockers in the preliminary finals at Ikon Park. It marks the first time the Blues will play in the AFLW finals.